Regular readers will have noted your author had a very pleasant trip to Beckenham recently, and one particular highlight was stumbling across the Foxgrove Club, a hidden members club in the woods in a rather magical setting. 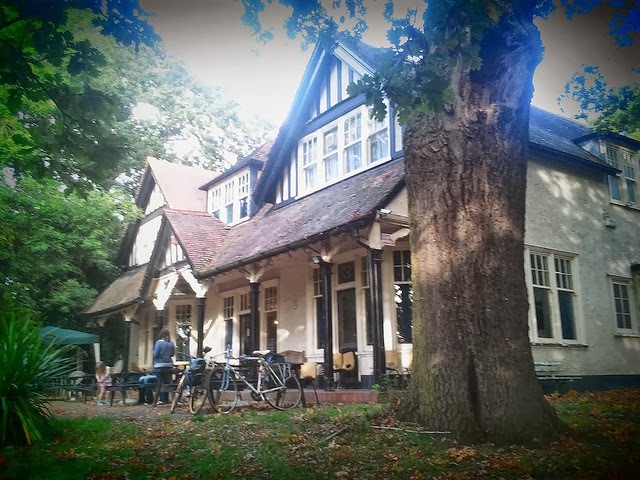 The club has snooker and pool tables, darts and table tennis, as well as a bar, surrounded by attractive gardens and woodland. Friendly members were generous enough to enable the purchasing of two halves of light ale by your author and a friend to aid the continuing of their cycle ride, which were happily drunk in the sunshine outside.